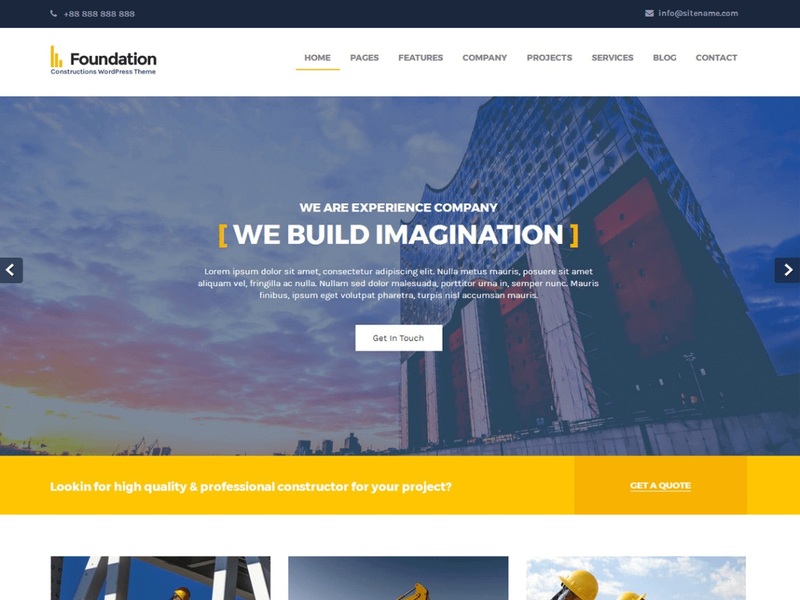 Foundations are a construction WordPress theme for Construction, Building, Excavation, Earthmoving, and Architecture businesses. A fully responsive theme which works awesome across all modern devices. Foundations is a nice looking theme, which is customizable in all aspects – it is suitable for any type of business. It has purpose oriented design and comes with an image slider in homepage and some services boxes. Select some color options given in customizer. Built with semantic best practices and search engines in mind. This theme compatible with the latest version of WordPress and plugins like WooCommerce and contact form.